• Continuous dimming with no color shift. Dedolight Patented Aspheric Optics in combination with specially developed LED light sources in daylight and bicolor variations. For use as on-board or off-board light, multi-functional and versatile as tiny interview and documentary lighting, for accents and special effects. 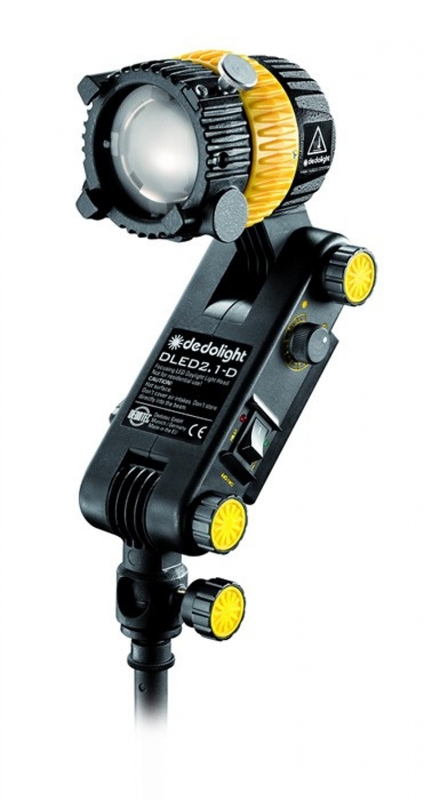 • New Dedolight Aspherics² Optics • Drastically improved light output.